At Alexandra Park Dental Practice, our Invisalign dentist will take an impression of your teeth before a treatment plan is created. 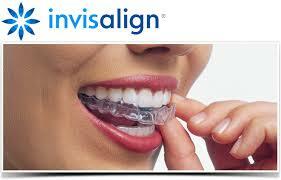 Our dentist will check if Invisalign is the right treatment for you and can help you to straighten your teeth. If the Invisalign treatment is suitable for you then our dentist will write a detailed treatment plan for you using ClinCheck- virtual 3D treatment plan. In Our ClinCheck system, we will show you the projected movement of your teeth in our system. When you begin your Invisalign treatment at Alexandra Park Dental Practice, you will wear each set of custom-made aligners in two-week increments. Through the series of aligners, your teeth will be moving till they reach the final position. Throughout the treatment, you will have regular check-up appointments with our Invisalign dentist in Wood green. Our dentist will monitor the progress of your teeth movement. Each smile is unique and we understand that that is why our Invisalign dentist in Wood green will provide an individualised treatment plan for you which will outline the estimation of teeth movement.